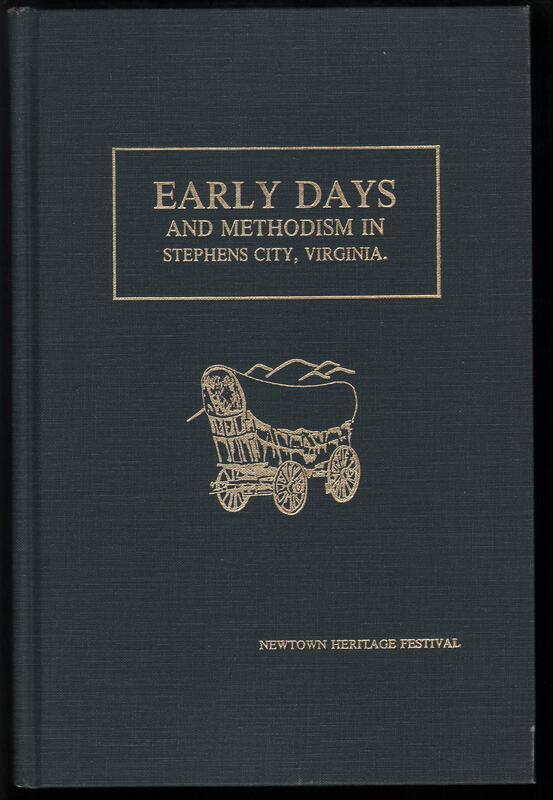 In 1994 the Newtown Heritage Festival Committee reprinted five hundred copies of this 1906 publication written by Inez Virginia Steele. Miss Steele (1838-1912) was the second oldest daughter of Stephensburg merchant and Justice of the Peace Mager Steele, Sr. (1788-1863), and his wife Eliza Kern Steele (1808-1882). “Ginnie” as she was known by the family, never married though she may have had romantic aspirations with Capt. Crobin Blackford, a Confederate partisan ranger and scout who was shot and killed by Union troops in Stephensburg on the 6th of January 1864. Miss Steele kept a diary during the Civil War and corresponded with family members about the events in the town during that conflict. 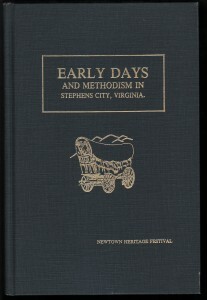 Later in life she devoted herself to writing this volume and dedicated it to “those who take pleasure in studying the early history of our churches.” While much of this work focuses on the history of the town’s Methodist congregation and its ministers, a significant portion of the first part of the book deals with the town’s early history. Being the daughter of parents who were contemporaries with Samuel Kercheval and others with firsthand knowledge of the town’s founding era, Miss Steele’s account is recognized by local scholars as a primary source of great value. Copies are available at the Newtown History Center. With the town of Stephens City as its focus, the Foundation seeks to interest and engage residents, visitors, scholars and students in the events, life-ways and material culture of the region. We also strive to promote the preservation of the buildings, artifacts and landscapes that are associated with the history of the town of Stephens City. Our hours vary seasonally. Please see Visiting the Museum for more information.